1. features background vocals by Lykke Li and riffs from Red Hot Chili Peppers guitarist Josh Klinghoffer. 2. the lyrics are about what was going on with his life at the time, specifically his relationship with designer Charlotte Ronson. 3. Reportedly the road he’s on is the same road part of the movie “Her” was shot. 4. The water tank he’s swimming in was also used for scenes in Titanic. Nate said, “It was freezing, and after 4 hours in there, I too was about to sink.” I guess he needs a huge door to float on, too. 5. The girl in the video is actress/model Frankie Stone. 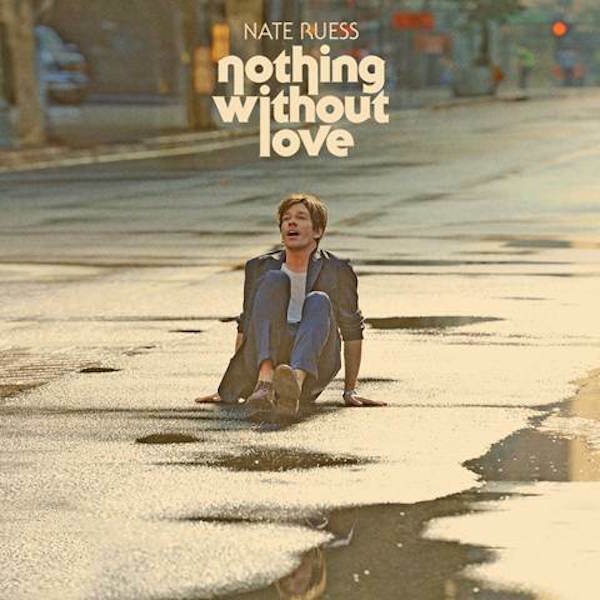 This entry was posted in Society and tagged frankie stone, Fun., Nate Ruess, Nothing without love, who's the girl in that video by Ben Wilder. Bookmark the permalink. Oh awesome, thanks!!! I couldn’t find the info anywhere. Do you like this new video? I was very much drawn in as I watched it. The way it matches the timing of the song, that’s probably my favorite part. Nice, thanks!!! Adding it in now. Wow I really like that song and the anthem feel to it… which he’s kind of known for. Very cool video! Nate Reuss is my new favorite artist! Well HE’S not new of course, but I really didn’t start listening to his music (besides ‘We are Young’)until I Googled who was the artist that did ‘Some Nights’. I didn’t realize it was ‘Fun.’ until I did that. I was driving back to Washington state from Oregon a few years ago when I heard ‘Some Nights’ on the radio. I absolutely fell in love with that song! And now I absolutely love Nate Reuss! Not in any other way than I think he’s just an extraordinary artist. Every single day I don’t feel complete unless I’ve heard ‘Just give me a Reason’ where he teamed up with Pink (epic! ), ‘Carry On’ (goosebumps every time! ), ‘Why am I the One’, ‘Some Nights’ (of course! ), and ‘Nothing without Love’ at least once that day. Seriously. And Nate, if you’re reading this, I am old enough to be your mother, so there is nothing sexual when I say this to you…you ROCK my world! Your music gives me goosebumps! It’s so easy to sing along to too. Keep up the awesome music young man! You’re definitely not done yet!